Whether you are looking for a card for a special occasion or ‘just to say’ we have a card perfect for every occasion. 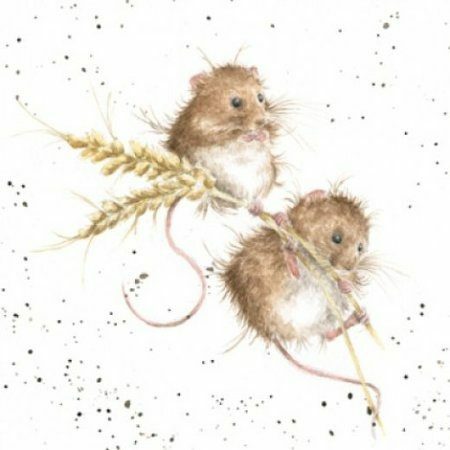 We stock a wide range of Wrendale Designs greeting cards that are designed and printed in England. 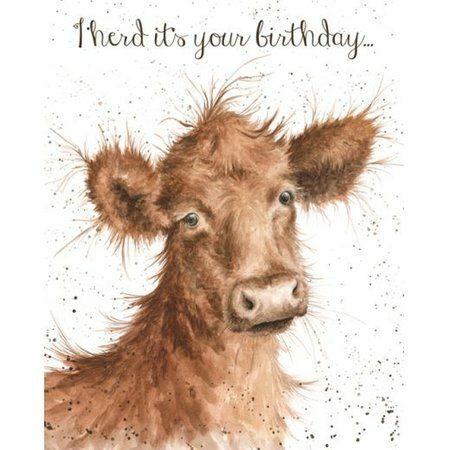 Wish someone a Happy Birthday with this card featuring a lovely cow. It reads, ‘I herd it’s your birthday…’. 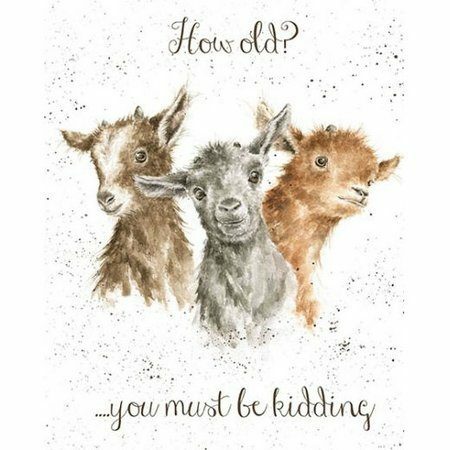 Wish someone a Happy Birthday with this card featuring three little goats and reads, ‘How old? You must be kidding’. 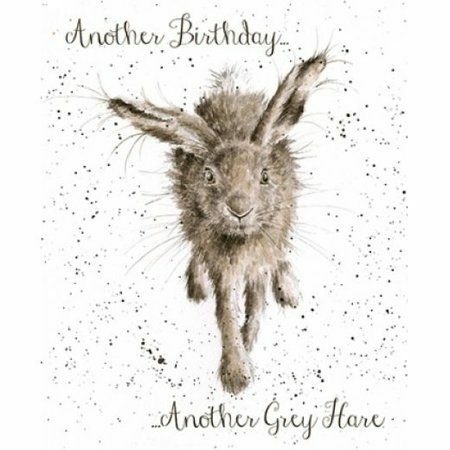 Wish someone a Happy Birthday with this card featuring a beautiful grey hare, and reads, ‘Another birthday… Another Grey Hare’. 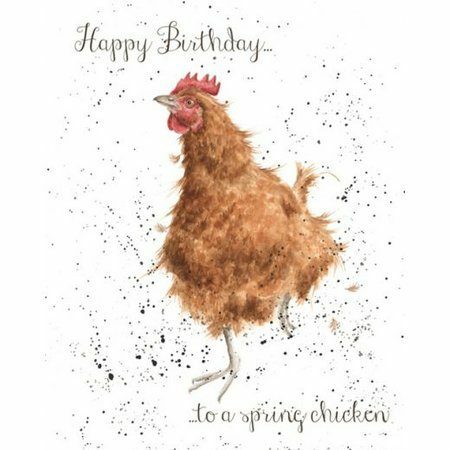 Wish someone a Happy Birthday with this card featuring a quirky illustration of a chicken which reads, ‘Happy Birthday… To a spring Chicken’. 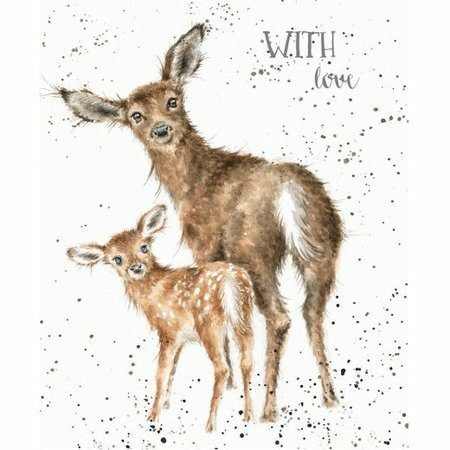 Perfect for any occasion, this Wrendale Designs card features a beautiful illustration of a lovely doe and fawn, with the simple greeting ‘With Love’. The award winning Country Set collection is inspired by the unique wildlife we see in the beautiful British countryside. 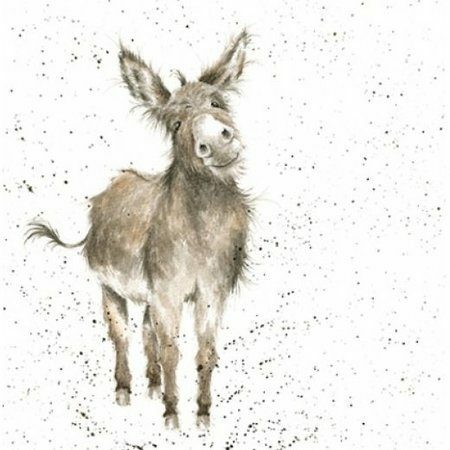 This lovely design, ‘Gentle Jack’, features just that, a lovely, gentle donkey. The image is printed on high quality, textured board and is 150 x 150mm in size. The card is blank inside for your own message. The Zoology Collection is inspired by the wonderful variety of life on our planet, with the usual quirky charm and beautiful illustration that we are known for. 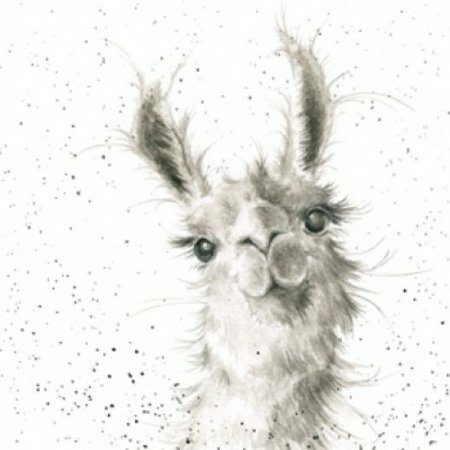 This design features a happy little llama. Each card is printed on high quality, textured board and is 150 x 150mm in size. It is supplied cello wrapped with an envelope and is blank inside for your own message. The ‘Flora and Fauna’ country set cards are inspired by the beautiful British countryside. 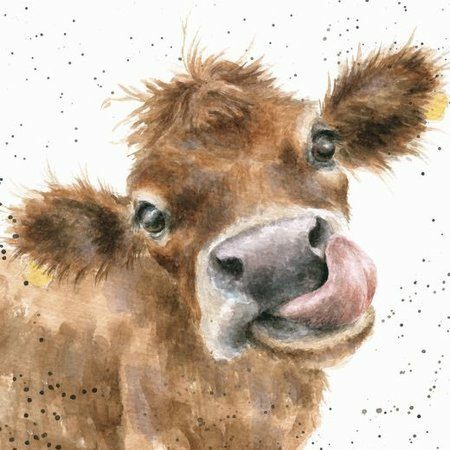 They feature popular animals from ‘The Country Set’ but this time have been brought to life in watercolour pen and ink. 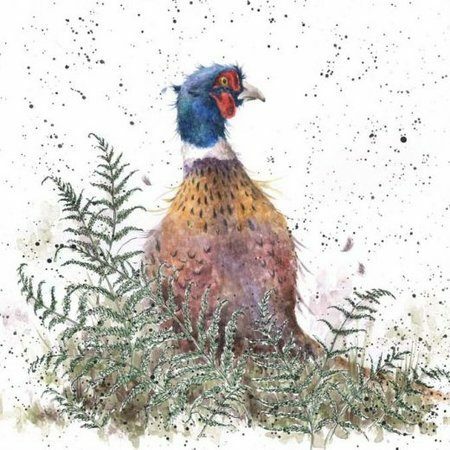 This design features a beautiful country Pheasant. The award winning Country Set collection is inspired by the unique wildlife we see in the beautiful British countryside. This design features a cheeky looking cow. The award winning Country Set collection is inspired by the unique wildlife we see in the beautiful British countryside. This popular design, ‘The Harvesters’, features two little Field Mice. 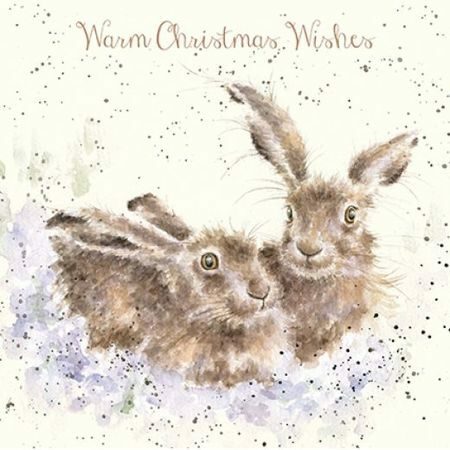 Wrendale Designs Christmas cards are perfect for the festive season. This design features a very warm cow that is printed on high quality, textured board and is 150mm x 150mm in size. Finished with gold foil detail. It is supplied cello wrapped with a kraft envelope and reads ‘Merry Christmas and a Happy Moo Year’ inside. 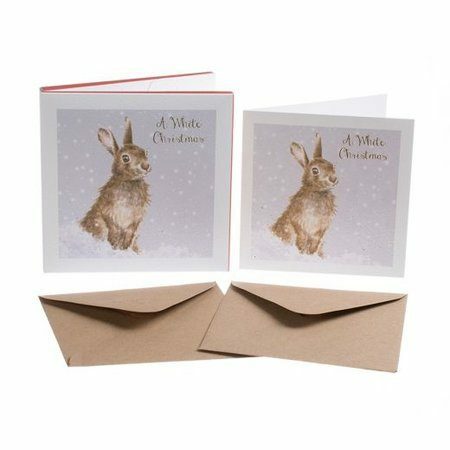 Wrendale Designs Christmas cards are perfect for the festive season. 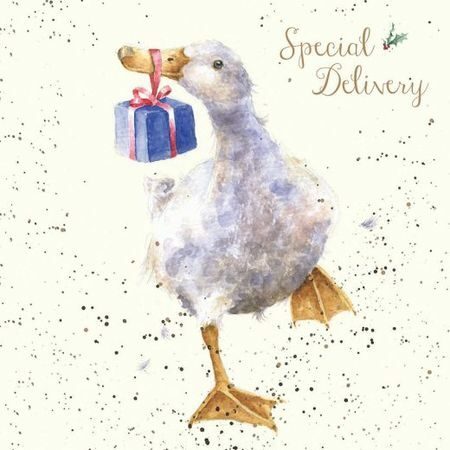 This design featuring a duck delivering a very important present and is printed on high quality, textured board and is 150mm x 150mm in size. Finished with gold foil detail. It is supplied cello wrapped with a kraft envelope and reads ‘Merry Christmas’ inside. 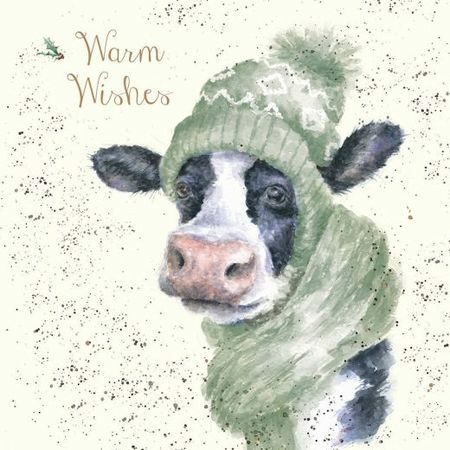 Wrendale Designs Christmas cards are perfect for the festive season. 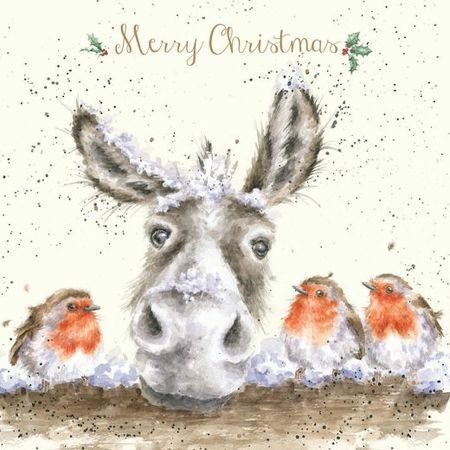 This design featuring a lovely donkey and three chirpy robins which is printed on high quality, textured board and is 150mm x 150mm in size. Finished with gold foil detail. It is supplied cello wrapped with a kraft envelope and reads ‘Merry Christmas’ inside. Wrendale Designs Christmas cards are perfect for the festive season. This design featuring two snuggling hares that is printed on high quality, textured board and is 150mm x 150mm in size. Finished with gold foil detail. It is supplied cello wrapped with a kraft envelope and reads ‘Merry Christmas’ inside. The Wrendale Designs Christmas Card Box Set of 8 ‘A White Christmas’ are presented in a beautiful wallet made from textured board. The cards are printed on high quality, textured FSC board with gold foiled lettering, giving them a wonderfully luxurious feel. The Christmas cards measure 120mm square and are supplied with eight cards of the same design for each box. Inside, the cards read ‘Merry Christmas’.